Mangaluru, Sep 05, 2017: City Mayor Kavita Sanil Speaking at an event organised as part of Kudmul Ranga Rao Birth Anniversary Celebration by Manava Bandhutva Vedike in the city on Augist 3, Sunday. Town hall in Mangaluru city will be named after Kudmul Ranga Rao soon and Mangaluru City Corporation (MCC) will complete all formalities to give the new name to the town hall. 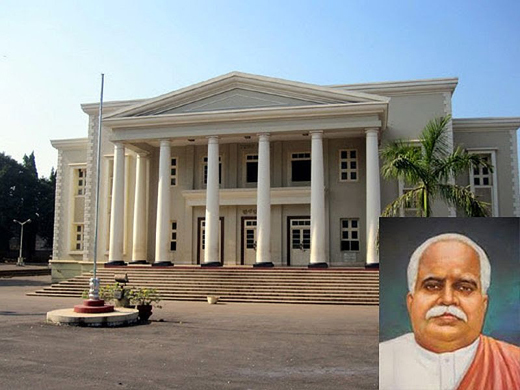 It is a matter of pride for MCC to name town hall after Ranga Rao as he worked for the upliftment of backward classes in Dakshina Kannada even if he is from an upper caste, Mayor said. Kudmul Ranga Rao (June 29, 1859-January 30, 1928) was a social reformer from Kudmul, a village in present Dakshina Kannada distrcit who formed ‘Depressed Classes Mission’ in 1897 in Mangaluru to empower backward classes of the society. Ranga Rao was an advocate by profession and was better known as ’the poor man’s lawyer’. Reaction from various quarters is awaited.